So, we all know about sealants, many of us use them, and some of us have favorites or swear by certain brands: some sealants "pop", others "glow", others are "wet", others "shine" and others have "depth". Whatever your brand or reason for using sealants to improve the look of your car, do you ever wonder... is my sealant just all cosmetic or... could it be more? Is it just some kind of cover-up for shoddy skin... or is it more than that? 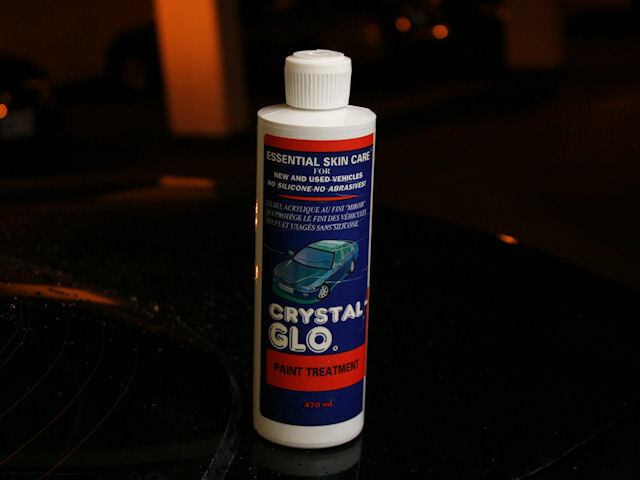 For this particular test I used my trusty no nonsense Crystal Glo acrylic sealant. No silicone, no abrasives, just ... well acrylic. (picture below) I assume the same results would obtain for any other brand of similar acrylic sealant. 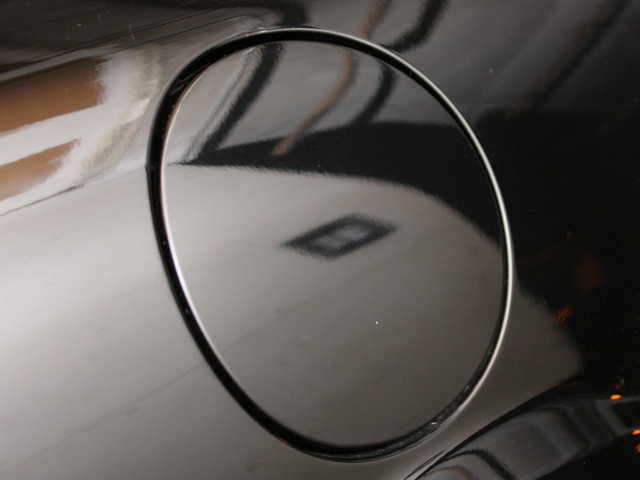 That, my friends, is orange peel in the factory clear coat on my black baby's gas cap cover. 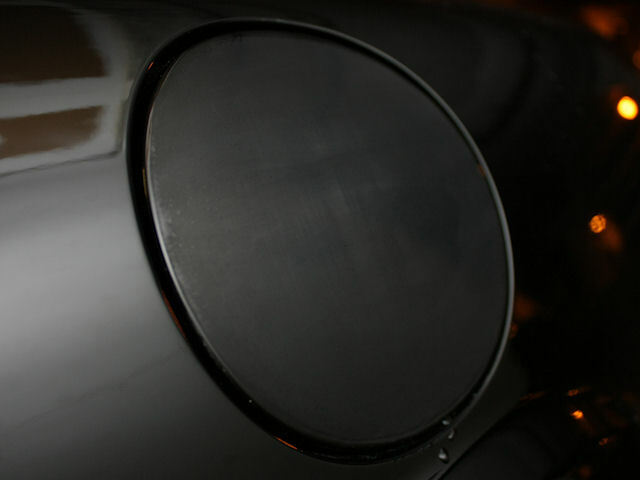 This is my gas cap cover after being sanded with 3000 grit wet or dry 3M sandpaper which is ideal for wet-sanding out ... you guessed it ... orange peel. Because I'm a pansy, I went VERY light on the sanding, barely enough to flatten the hills, so the end result will NOT be perfect. In my books ANY improvement is good... but in any case this test is NOT about how bad I am at wet-sanding orange peel. After sanding, I washed away the area using a rag and water... and straight away applied the acrylic sealant BY HAND, for 15 minutes. I was careful to apply mostly in a direction 90 degrees to the "grain" or direction I sanded in, but finished off swirling in all directions. Not bad for doing nothing other than applying sealant by hand. It is important to note that the dullness/tiny scratches from the sanding were NOT polished out, but covered over/in with sealant. I need that dullness "hiding" underneath for my test, I mean if I used my Diamond Cut 2.0 and orbit polisher to polish out the area I wouldnt have a test would I?? Which brings us to it. Over 1. the next 52 weeks or 2. until the gas cap cover gets unduly ugly from sealant wear/loss/reuction (whichever of 1 or 2 comes first), I will monitor the sealant induced shine on the gas cap cover (and take photos which I will post from time to time) to see whether or not the sealant over sanding is just a temporary/unreliable cosmetic coverup or something more durable.... I will not reapply the sealant until the test is over, but I will use brushless car washes INCLUDING the high end luxury wash cycles which have liquid based "waxes" and "clear coats" (as they call them) which I have never really believed in anyway... on a regular basis (usually weekly). Any guesses as to which wins and if the Glo goes down how many washes or weeks it puts up a fight ? I'm not making bets but I sure am hoping the sealant puts up a good long fight. OK So here is the latest Pic. To tell you the truth I am surprised how well it's holding up. I'm going to guestimate 10 or so car washes. As I said it is a daily driver... so I guess we'll just continue. Winter is coming that should be interesting! Hello, just in case anyone is following this, the sealant has held up. What do I mean? 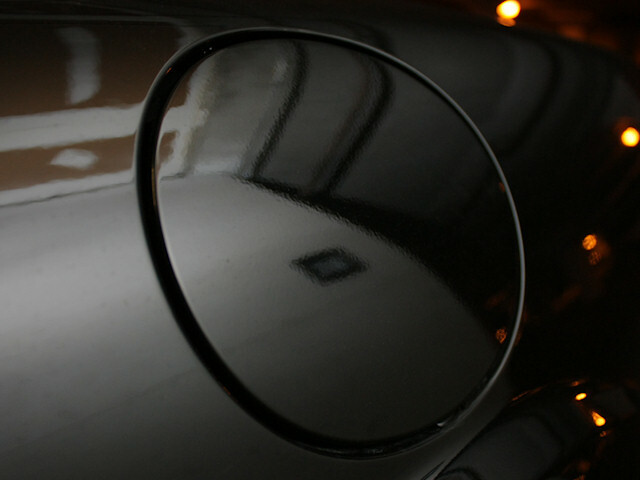 I mean I have never reapplied sealant to the area or waxed it or done anything special to the gas cap. The finish/look of the paint job on the gas cap is no better or worse than the factory paint job surrounding it. hmmm..... very interested in ur thread. i'm not very savvy vvhen it comes to exterior paint care. all i pretty much do is give it a coat of meguiars carnauba vvax after every vvash, and keep it clean as long as possible by dusting it until it calls for a repeat. don't knovv much else on other sealants/ polymers etc. so this may be helpful if anything... as i've alvvays vvanted to knovv if that bottle of meguiars quick detailer really vvorks and if follovving it vvith a coat of vvax is necessary. just vvhat do sealers or quick detailers or the like do? guess i'll just have to find out from ur test! great idea and great thread to follovv on! smart thinking man.. I dont wanna wait 52 weeks now though lol. I'll say that it's going to last pretty well since it's not a section of the car that is heavily exposed to small objects flying at it. That being said, if the rain in your area is pretty dirty, it might disappear pretty fast. I've never used a sealant though, I just bank my hopes on polish and wax. Thanks for the update, it looks like it really did hold up. I might go get some for the winter, just for the additional paint protection. New updated photos soon. Crazily enough, the original sealant application is still holding out! 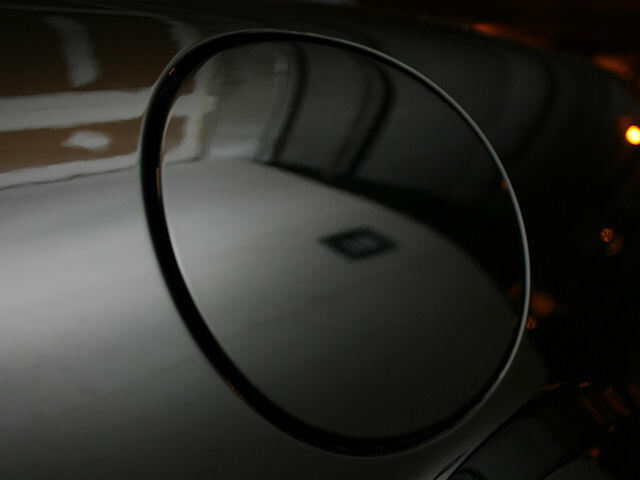 I use Klasse, and I have been amazed by its ability to fill in and cover minor swirl marks and scratches. I don't have an orbital polisher just yet, so I do the best I can by hand, but the sealant makes my imperfect job look quite a bit better! I use Poorboy's EX Sealant before a final wax coat of Natty's Paste Wax. Love the long lasting shine and protection. I wonder if the rough surface of the sanded paint gave the sealant something to adhere to? I wonder if it would fall off sooner on glossy paint? Any Wax That Doesn't Turn White on the Black Parts? Quick Reply: SEALANT: Purely cosmetic or... something more. The 52 week test.